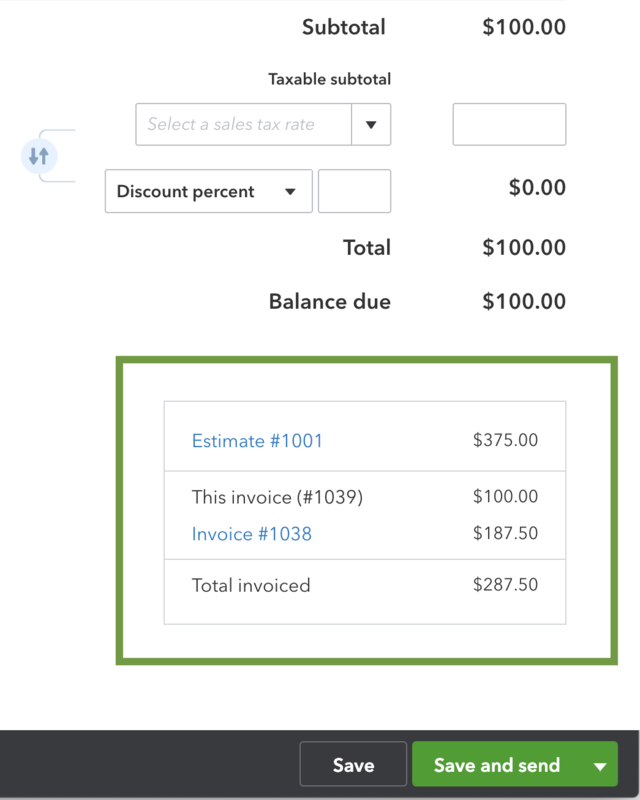 Learn how to include estimate summaries on your progress invoices in QuickBooks Online. If you do projects for customers and bill them as you go (“progress invoicing”), you can include an estimate summary on their invoices. This keeps your customers in the loop and lets them know how much they’ve been invoiced for their projects. If you haven’t already, turn on progress invoicing. Follow Steps 1 and 2 to set up progress invoicing and create a template using the Airy classic style. Go back into the Custom Form Styles menu to ad estimate summaries. Select the Gear icon from any page, and then select Custom Form Styles. Select Edit to update your existing progress invoicing template. Select the Content tab. Then select the pencil icon on the third section of the form. Check the Estimate summary checkbox. Select Done to save your work. Use your new template to send progress invoices. If you send lots of progress invoices, we recommend using this as your new standard template for all invoices. Go back to Custom Form Styles. Select the arrow in the Action column next to the template, and then select Make default. 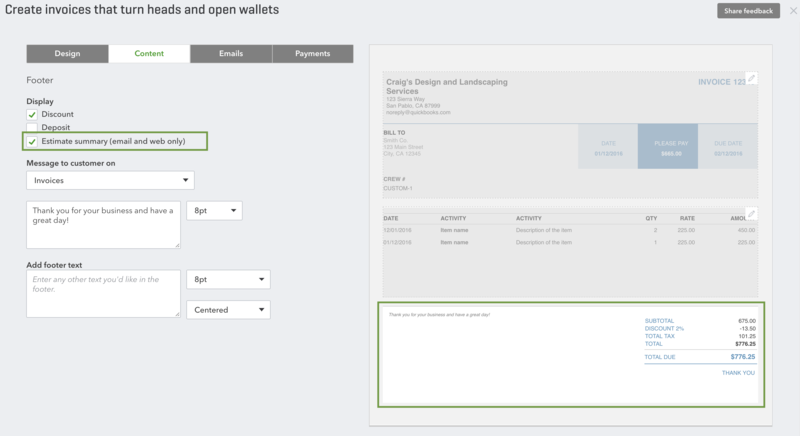 If you only want to use this template for progress invoices, select Customize directly on the invoice form to change the template. Go to the Sales menu on the Navigation Bar. Select the All Sales tab. Find and open an invoice. Select Print or Preview to review the layout. When you’re ready, select Print.